To get rid of pet urine stains and odors, pre-treat the area with a coating of baking soda, blot the area with a damp towel to remove the baking soda, then sprinkle more baking soda over the area. Steam clean the area with a cleaning formula designed for pet urine. As soon as you notice the stain, cover it immediately with a layer of baking soda. With a damp cloth, press into the urine stain. Do not scrub the stain; blot it until most of the urine and baking soda lifts away. To help neutralize urine odors, sprinkle a generous amount of baking soda over the cleaned stain. Allow the baking soda to sit for 15 to 20 minutes. Vacuum the baking soda out of the carpet. Fill the steam cleaner with its required water content. Select a cleaning solution designed to remove pet urine stains and odors, which is available at pet and home improvement retail stores. Once the steam cleaner is ready for operation, clean the entire room. Concentrate the steamer over freshly cleaned urine stains. 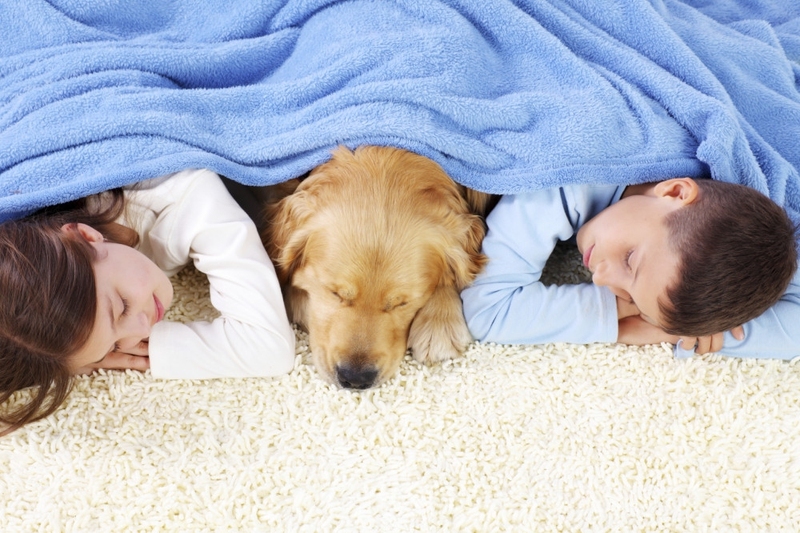 Do not steam untreated urine stains, as the steaming action may bind urine discoloration and odors to carpet fibers.